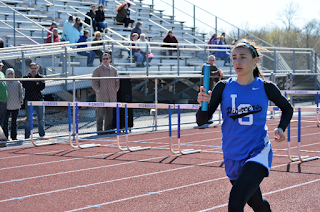 Yesterday saw the start of the L-S track season at home against Manheim Central, in classic track weather: cold and blustery, but without a cloud in the sky and a favorable wind coming down the last 100 meters. Before the meet, Luke Raum, a senior distance runner and captain, predicted “it’s gonna be a close one. It came down to one step last year,” recalling a close contest last year. Sadly, it wasn’t nearly so close this time around. The day started mixed: the boys lost in the four by eight hundred relay but the girls' team of Hailey Welchans, Abby Gordley, Julia Pritchard, and Jasmine McClintock won. Then both guys and girls settled into a long meet, with a consistent but unsatisfying pattern: thirds and seconds. In the sprinting events, Brady Stoner led with a first place in the three hundred meter hurdles and second in the one hundred ten hurdles, with teammates Ezra Mellinger, Mitchell Kuhns, and Ryan Fahnestock placing third in the one hundred, four hundred, and two hundred, respectively. On the girls' side, Olivia Gard placed second in the four hundred, and Julia Pritchard (whose younger brother Noah is also on the team and whose accomplishments will be noted later) placed second in the three hundred hurdles. Teammates Madison Shreckengast, Lindsay Szymanski, and Josie Weaver took third in the one hundred ten hurdles, the one hundred, and the two hundred, respectively. However, neither the ladies or the gentlemen won their four by one hundred relay or the four by four hundred relay, ten points neither side could afford to lose. Particularly heartbreaking was the boys' four by four hundred, where Central came back in the last lap to win, just barely pulling ahead in a repeat of last year's race. 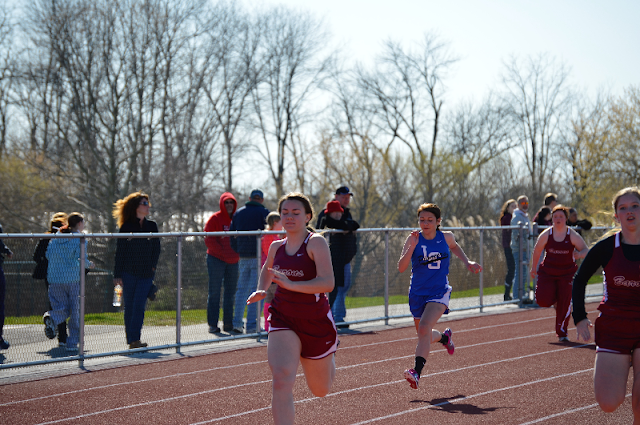 In distance, L-S fared better, with Jasmine McClintock placing first in the eight hundred and second in the mile for the girls. Ellie Crumpler also placed third in the two mile. Noah Pritchard led the guys team, placing second in the two mile and third in the mile. 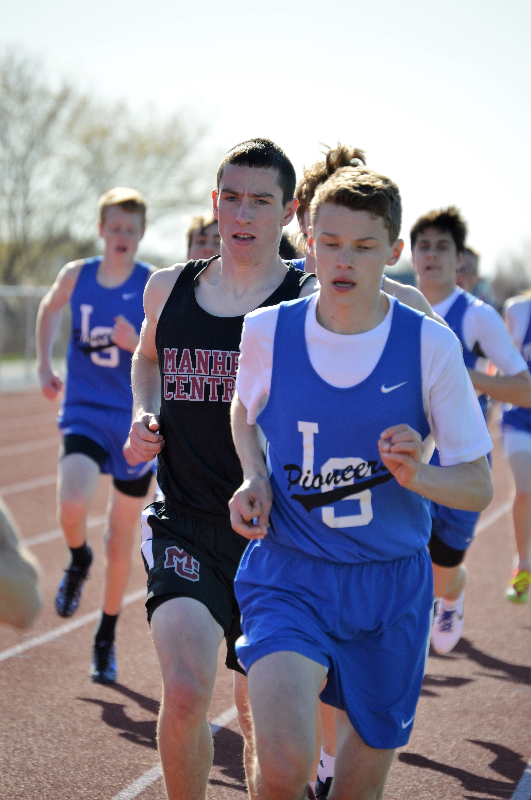 Caleb Gawne placed second in the eight hundred, and Nathan Cooper took third in the two mile. It was not a favorable day for the guys in throwing events, L-S not scoring a single point in either the shotput or discus. However, Josh Eidemiller did score third in the javelin. On the girl’s side of things, freshman Kristen Herr should be very proud of a banner day, scoring first in discus, second in javelin, and third in shotput. Finally, in jumps Drew Bell led the boys' team, taking first in high jump and third in long jump. Ryan Firestone also did his share of work, scoring second in high jump and third in pole vault. Josh Nolt scored third in the triple jump. 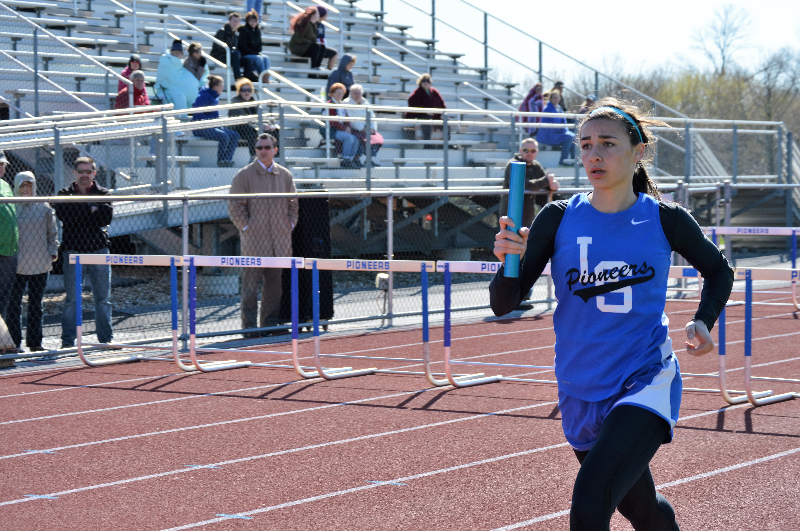 The girls' side saw four seconds: Shreckengast in the long, Alexis Mongeau in the high, Megan Breneman in triple, and Welchans in the pole vault. Sadly, the final score was dismal: 110-39 girls, 120-35 guys, both losses. However, the team is looking forward to their next home meet and on improving what already looks to be a promising team.